The addition of NHL commissioner Gary Bettman to the Hockey Hall of Fame has prompted sharp pushback from some former players angry about the league's handling of head injuries. Bettman joined Martin Brodeur, Jayna Hefford, Willie O'Ree, Martin St. Louis and Alexander Yakushev in the Hall of Fame class of 2018 announced on Tuesday. 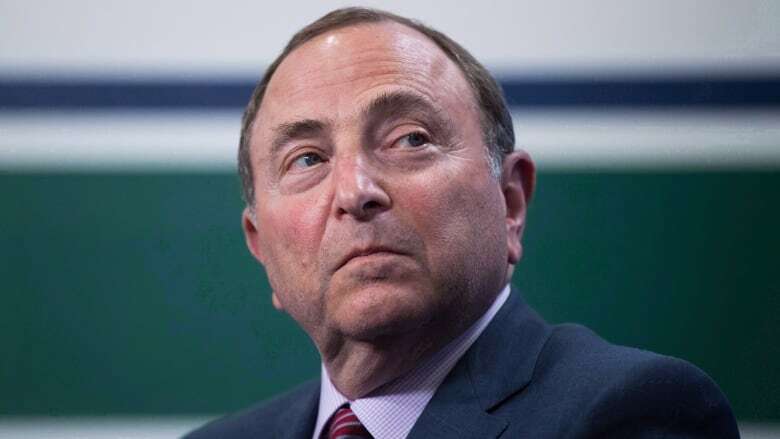 Bettman has overseen the NHL's expansion from 24 to 31 teams and surge in annual revenue from $437 million to $5 billion in a quarter-century overseeing the NHL. His tenure also has included three lockouts of the players and increased controversy over concussions. A federal lawsuit against the league, consolidated from five cases filed in 2013, has sought class action status for pursuit of damages for mental and physical health problems plaguing former players who experienced head trauma during their careers. The plaintiffs have alleged the league failed to warn its players of the long-term risk of brain damage that may have been suffered in action on the ice. Two more retirees, Daniel Carcillo and Nick Boynton, recently filed their own federal lawsuit under similar arguments. They were among the vocal critics on Tuesday of Bettman's impending induction, using their Twitter accounts to express disgust about the honor for the NHL's top official since 1993. "I can't get over what a slap in the face this must be to the families of Steve Montador, Rick Rypien, Derek Boogaard, Bob Probert & Wade Belak," Carcillo tweeted, referencing five former players who were suffering from brain damage and died prematurely by causes that included overdose and suicide. "Gary Bettman had a hand in every death by withholding info about the risks of doing their job." "This is not something I want to be a part of," Boynton tweeted .